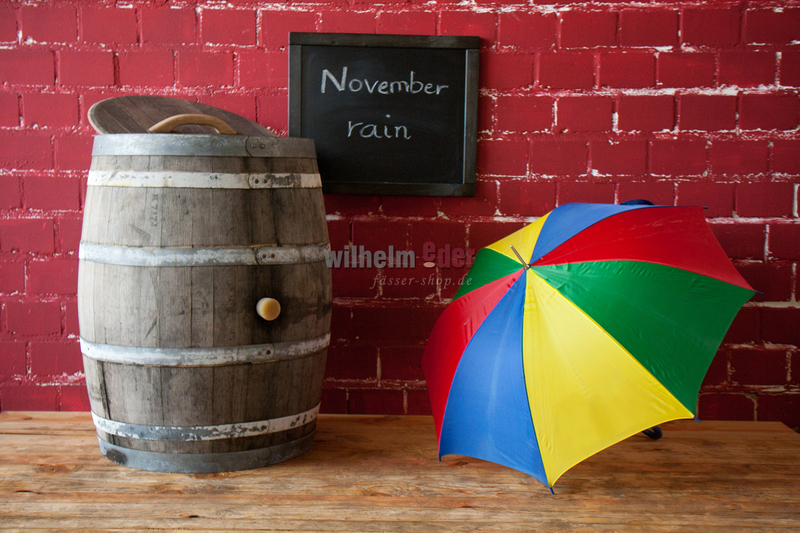 Product information "Rain barrel 225 l - 228 l"
Rain barrel made of a 225 l or 228 l Barrique. 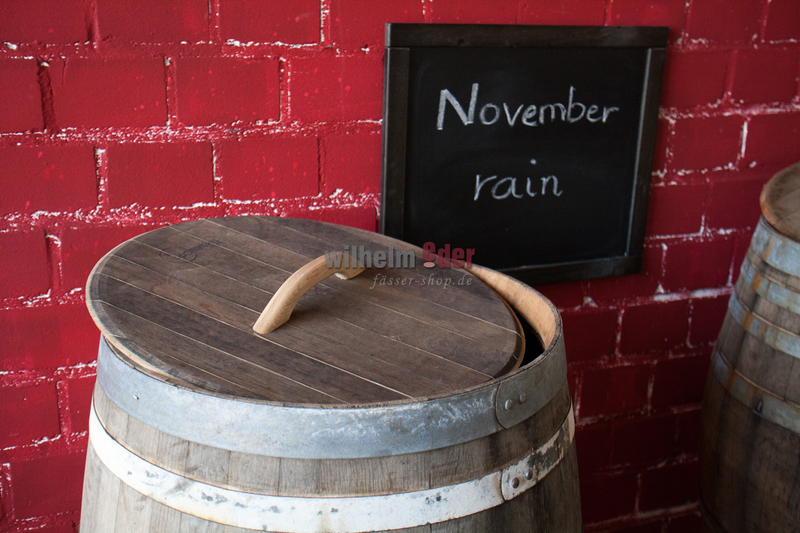 The barrels are watertight and the head has been opened and was equipped with a wooden grip. 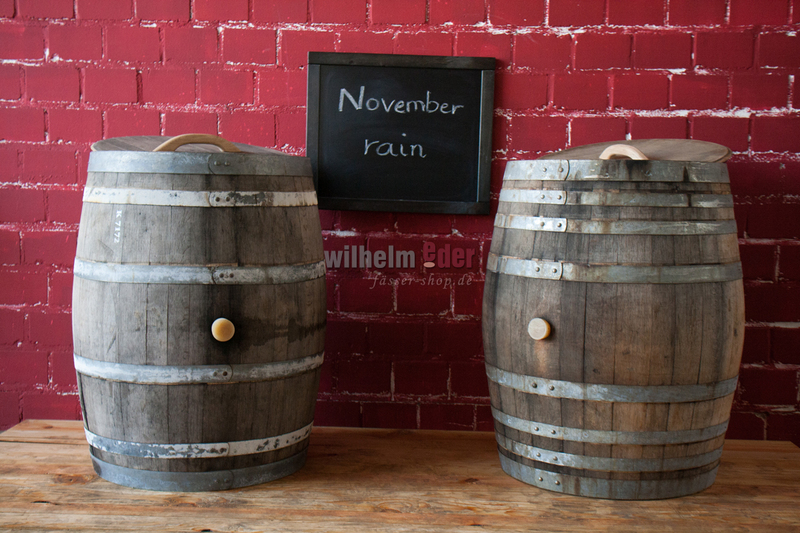 Color variations are possible and some barrels might have wooden hoops and the metal hops can show some rust film. 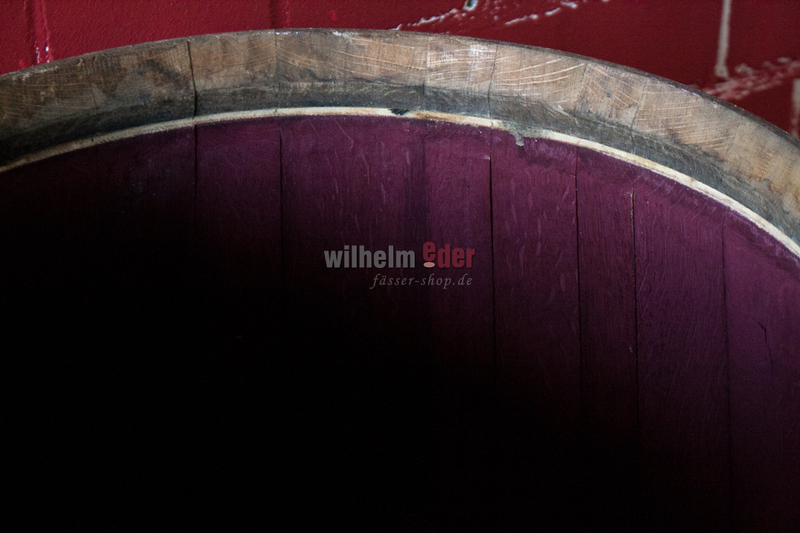 We sell those barrels unsorted! A preselection is not possible. 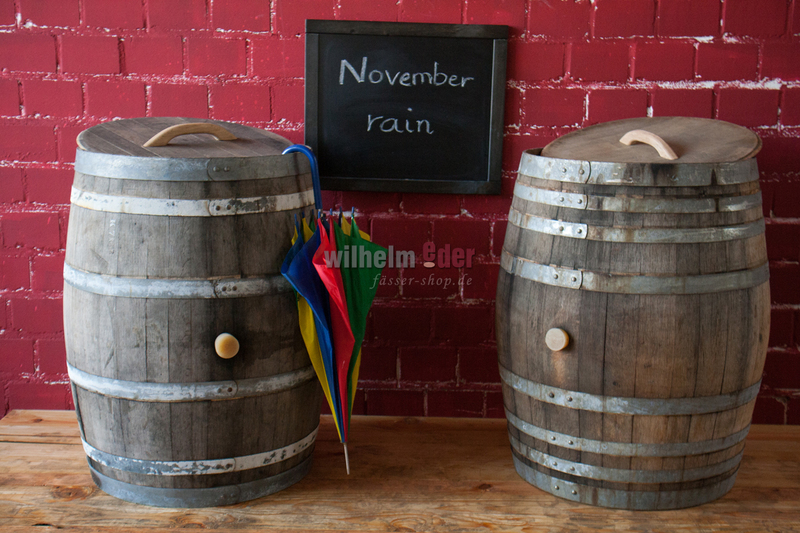 If you wish to have optically the same barrels you have to choose some of the rain barrels 225 l - exclusive.